Search rankings matter. Organic search accounts for a third of all traffic to B2B websites on average, according to HubSpot. That figure is closer to 40 percent for small companies, and almost 50 percent for industrial / manufacturing firms. 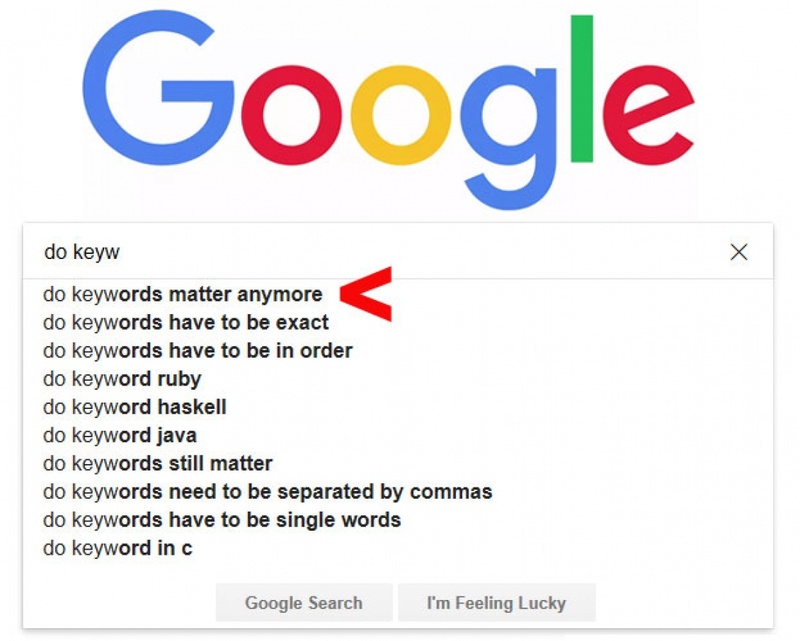 But does SEO still matter? Some are asking the question in the wake of this story from just last month: “Google confirms core search ranking algorithm update…but says there is nothing webmasters can do to fix their sites if they dropped in rankings.” Yeah, it still matters, but is there a key to SEO success? Now, just as pursuing a post-high school education doesn’t guarantee you a financially rewarding career, search engine optimization efforts can’t guarantee high rankings. But both are still the smart path to take. And actually, given all the changes Google and other search engines have made to combat manipulative black hat SEO practices, one “keyword” now matters possibly more than any other for SEO. It’s the key to SEO success in 2018. Google and other search engines seek to display the “best answer” for every query near the top of their search results. That’s why Wikipedia pages often rank highly: they are viewed as highly credible and generally accurate because they are written by subject matter experts, then reviewed and edited by other subject matter experts. These authentic experts have figured out the first key to SEO success. So yeah, rankings matter, SEO matters, and keywords still matter. And the most important key to SEO success is “authenticity.” The shortcuts of the past are gone. No one can manipulate their way to the top of the search results any longer. But with authenticity and effort, those top spots can still be earned. This post was originally published on The Marketing Scope.